Shirley Bassey was a popular singer during the 1950s. She was born in the year 1937 and was also quite popular for her recordings in the James Bond movies. She was made a Dame for her services in the performing arts in the year 2000, and she also won the Brit awards in the year 1977. Shirley Bassey was a very successful artist, and people loved her back in those days. Though her career seemed to be sliding down during the 1960s, she had a brilliant comeback in the 1970s. 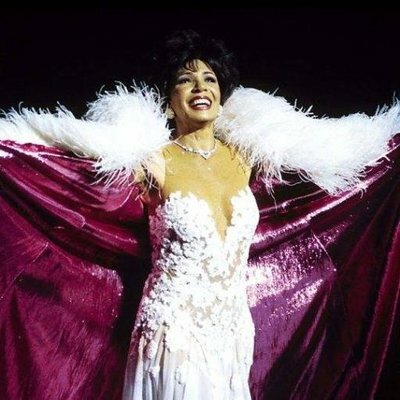 She was one of the best artists in the world and let us take a deeper look at the life history of Shirley Bassey. Shirley was the youngest in her family, and she was born in Cardiff Wales. Bassey’s father happens to be a Nigerian, and her mother was English. Shirley had many siblings as she grew up and she fell in love with singing at a very young age. At the age of 14, she was working in a factory and she also sung in public houses during the evenings and on the weekends. In the year 1999 in an interview with Nigel Havers, she told that her first contract paid her 14 Euros. Later in the year 1953, she signed another contract to sing with the show Memories of Jolson which was a musical band which was based on the life of Al Johnson. She later became pregnant at the age of 16, and she did not reveal the name of the father. As she had to take care of her child, she went back to waiting tables at Cardiff. Later during the year 1955, she began to tour many theatres where she met Jack Hylton, and he invited her to feature in “Such a life” and “West end”. She had her big break in during the 1960s and 1970s were almost five albums of hers hit top charts. Some of her songs such as “As long as he needs me” hit the charts and it stayed there for almost 30 weeks. She had her American television debut in the year 1960 and became a big shot in the United States too. Shirley went to produce successful albums, and she is known as one of the best artists of all times. Bassey was sued by her personal assistant who claimed that she had hit her. But Bassey won the case, and Alexander Baron publically criticised this in his play called the Trial of Shirley Bassey. During the year 2008, she was rushed into the hospital after she had severe abdominal pains. She was not allowed to sing the Nelson Mandela’s 90th Birthday tribute due to her illness.